CBGP is a joint research centre of the Universidad Politécnica de Madrid (UPM) and the National Institute for Agri-Food Research and Technology. CBGP generates science of excellence in areas such as plant development, plant-microorganism interactions, responses of plants to abiotic stresses, plant nutrition and computational biology, which have resulted in the generation of novel technologies and applications. The main building with 7,200 m2 includes state of the art laboratories and scientific infrastructures (metabolomics, cell biology platforms and a P3-level containment lab). 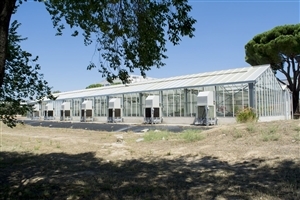 A nearby building contains plant growth chambers of last generation type and 1,200 m2 of greenhouses, including a certified P2-level greenhouse for genetically modified organisms.